HELLENISTIC PERIOD, 3RD-1ST CENTURY B.C. 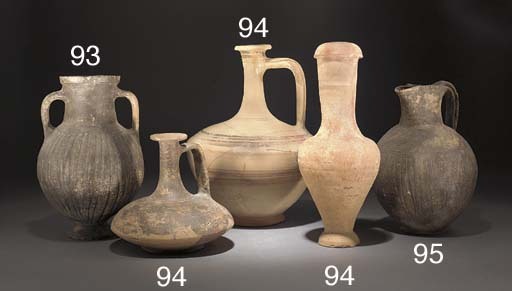 The Art of Ancient Cyprus, p. 45, pl. 39a/b/d (items one to three); p. 65, pl. 96 (items four and five), p. 45, pl. 39c (item six) and p. 37, pl. 28 (item twenty).